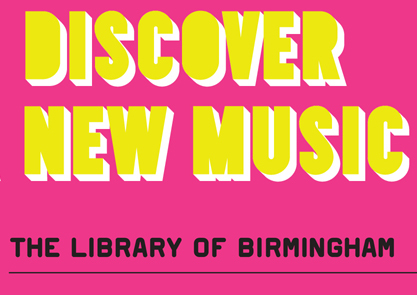 We are delighted to announce that tickets are now on sale for our Discover New Music series for the opening of the Library of Birmingham. 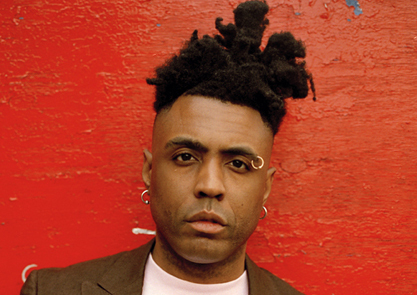 A British soul singer, songwriter and musician, Omar learned his craft classically, playing the trumpet, piano and percussion. Making albums since the early 1990s, his work is often compared to Stevie Wonder’s work of the 1970s. 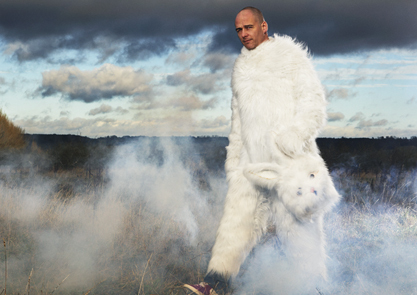 He is described by some as the father of British neo soul. Leftfoot was founded back in 2000 by Adam Regan and Richard Whittingham, and has evolved into one of the most important left-of-centre, soul- based projects in the UK. Voted the best Club Night by Gilles Peterson in 2003, the intervening decade has witnessed Leftfoot’s pioneering progression, hosting guests across a vibrant palette covering house, hip-hop, disco, jazz, funk, soul, reggae, electronic drums & bass, techno, Afrobeat, Latin and more. Noise quintet whose diverse influences blend to create a mash up of genres, creating a new sound that has something for every alternative pallet. They generate an infectious energy during their intense live show as three individuals grapple with their instruments to whip up a reckless tornado of sound, flailing limbs and musical angst that is a feast for the senses. Capsule will curate a weekend of adventurous music, celebrating the very best in new music and performance. Producing extraordinary events for adventurous audiences, Capsule have a keen eye and ear for the most exciting music and performance around. Over the last 10 years Capsule’s Supersonic Festival has gained a reputation as one of the best experimental music festivals in the world, at its heart a passion for genre bending sound and performance. The festival will return in 2014 at a brand new city centre based location. A Supersonic Festival inspired weekend, Bring to Light’s varied programme will combine electronic music, folk, black metal, electro acoustic composition, hip hop and more. 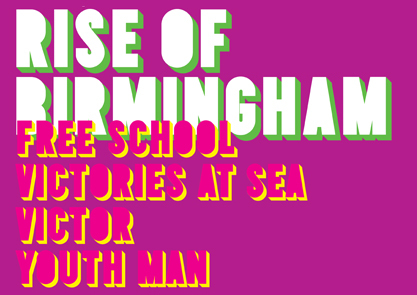 Friday’s programme will see performances in the industrial space of the Rainbow Warehouse in Digbeth, for the rest of the weekend dynamic new music will invade the Library of Birmingham. 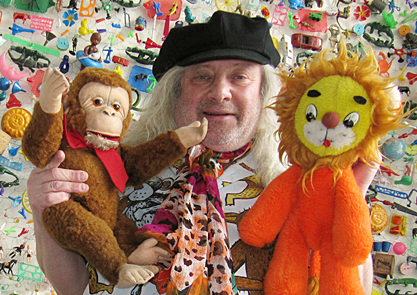 Charlemagne Palestine is an American composer, performer, and visual artist. A contemporary of Philip Glass, Terry Riley, Phill Niblock, and Steve Reich. 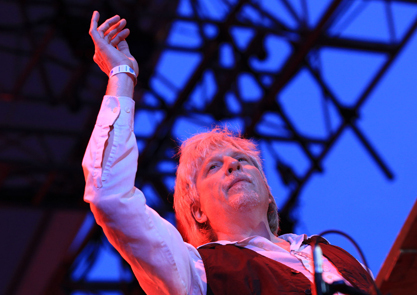 Rhys Chatham is a composer, guitarist and trumpet player from Manhattan, currently living in Paris, who altered the DNA of rock. Chatham and Palestine first met in the late 60s in New York, at the end of 2012; they decided to revisit their collaboration. This will be a UK exclusive and an incredible opportunity to see two giants in contemporary composition perform together. Ex-Easter Island Head are a Liverpool-based ensemble composing and performing for solid body electric guitar, percussion and other instruments. Their music – played on horizontally mounted mallet-struck guitars alongside a battery of unusual percussion – has been compared to the likes of Steve Reich, Balinese Gamelan and Claude Debussy. Large Electric Ensemble was commissioned for the inaugural World Event Young Artists (WEYA) festival, held in Nottingham 2012. Utilising an ensemble of experienced local musicians the piece sees an ensemble of 12 guitarists playing modified ‘third bridge’ guitars from a unique graphic score to create a unique shimmering soundworld, rich in heavenly drones, overtones and repetition. Adrian Utley is devoted to breaking new ground and exploring the potential of the guitar. As a member of the experimental electronic band, Portishead, Utley is jazz trained, with a passion for the minimalist approach to playing. 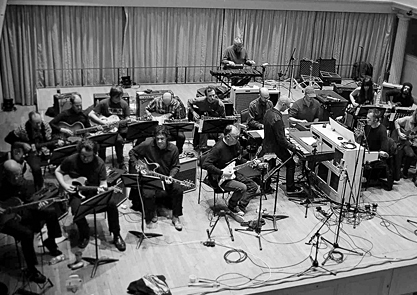 To celebrate his love of experimental techniques, Utley’s task for the Discovery Season is to spearhead a guitar orchestra that will be re-interpret Terry Riley’s ‘In C’, which although written in 1964, is one of the most influential music pieces of the 20th century. The audience will witness fifty three different ways of the playing the C note which will form an unforgettable performance, supported by organ music and percussionists. To commemorate this unique concert, Invada Records will release a recorded live version in the Autumn of 2013.